What’s inside number 9? New edition out soon! Good news folks, edition 9 of ScooterNova magazine is on the way! Completed and printed in time for the Isle of Wight scooter rally next weekend, you can pre-order online and be one of the first to receive it. So what’s to look forward to in edition 9? Atomic, Blondie themed Lambretta GP. Paint by Garage Artwerks, engraving by Don Blocksidge. Last weekend saw the scooter season opener in Burton-upon-Trent, at local club the Burton Brewers SC’s annual custom show. In a slight departure from the norm however, we joined forces with our friends over at the Scooter Lab UK and shared our photos and stories with them. So for a show report, results and lots of photographs as well as a neat video too, please click on the image-link below and enjoy as normal! 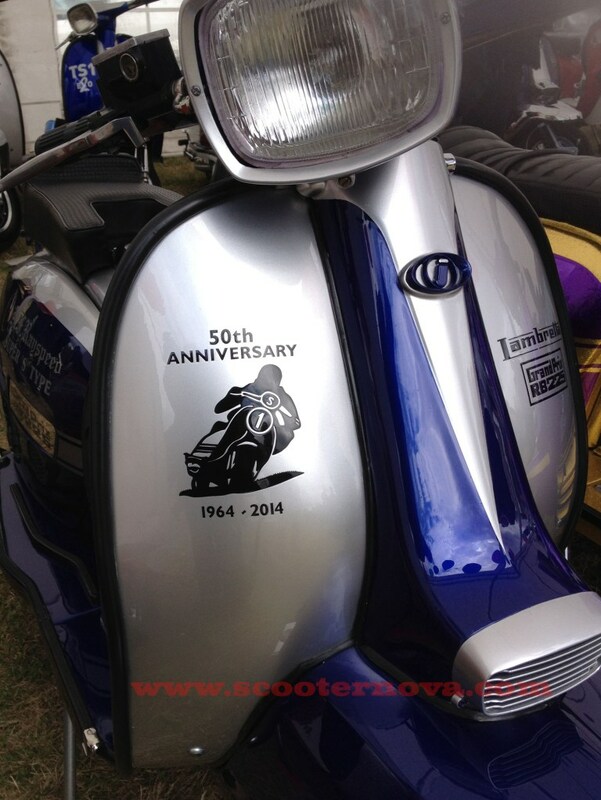 This weekend AF Rayspeed in Yorkshire hosted an open day to celebrate 50 years of the AF S-Type dealer special Lambretta. Found in Milan, this sparkling collection of crash helmets by 70’s couldn’t help but catch eyes. Enter your email address below to subscribe to Scooternova for FREE and get all the best scooter news first! ULEZ and an apathetic industry? Melvyn Towell on ULEZ and an apathetic industry?